You are currently browsing the category archive for the ‘Anthology’ category. First, a caveat: this review is of the pdf version of the book’s uncorrected proof, a document lacking both the final cover and the appended authors’ biographical notes. 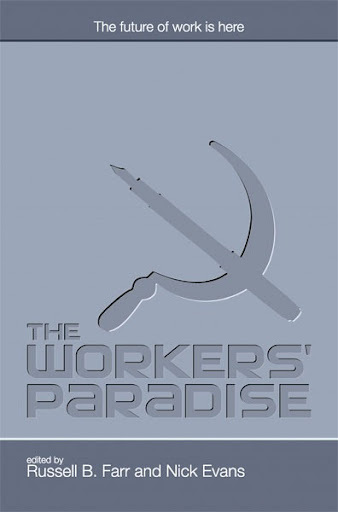 The Workers’ Paradise – an unashamedly politically charged title, openly left-leaning, and the brief editorial follows suit. The timeliness of the editorial (written in September 2007, mere weeks before I received the pdf) is a drawback in a sense. There’s scope for much of the editorial’s content, relating to Australia’s current labour laws, to become quickly outdated. At least, one might hope so. But the more important questions arising are, will the stories collected here date as quickly? And do they hang together, or would they be better left to hang separately? “Best” anthologies are always tricky, because there’s so much room to argue about the choices; about the authors, about the stories, about the publication dates… Here Bill Congreve and Michelle Marquardt have put together a high quality anthology with less room for argument than usual. 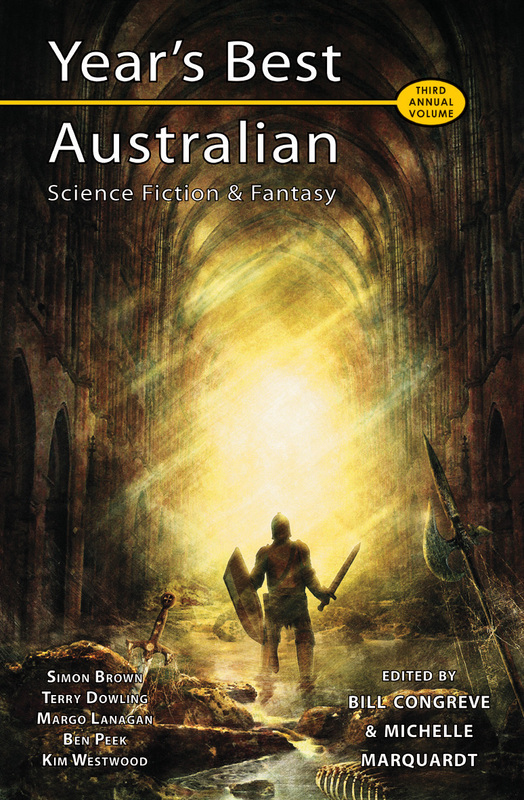 The collection covers the year 2006, and includes stories by some of the best – and best known – Australian speculative fiction writers who are currently publishing. 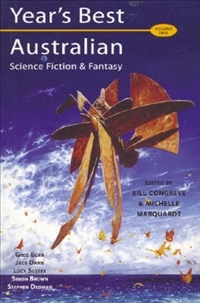 The anthology opens with a short introduction by the editors which provides a very brief overview of Australian speculative fiction in 2006. It may remind you of some things you meant to read and didn’t get around to; it may tantalise you with mention of something you didn’t know about before. It’s a good quick overview of what was published in 2006. Year’s Best volumes always have significant introductions. I am an evil person who reads the stories then goes back and thinks “Should I read the introduction?” Yes. Read the introduction. Bill Congreve and Michelle Marquadt give an overview of how current Australian speculative fiction fits into an historical trail. There is a kangaroo story told in snatches throughout. Not my kind of story, but it solves the problem of a technical introduction to a book of short stories. The interlacing of story and explanation eases the transition between a formal introduction and short stories and puts the stories in perspective. As some of the stories date (as some stories always date in anthologies) the introduction will be there to remind readers of the particular environment in which they were created. 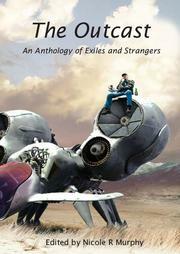 Shadow Plays is a fairly eclectic mix of Australian speculative fiction. There are some great stories, and some average stories, but none that are dreadful – so the editor, Bunter, is to be congratulated on her wise selection. I haven’t been this excited by a project for quite some time now; as a writer and reader of dark fiction for twenty nine years, the prospect of seventy tales from sixty six authors is what makes a job like this so enjoyable. 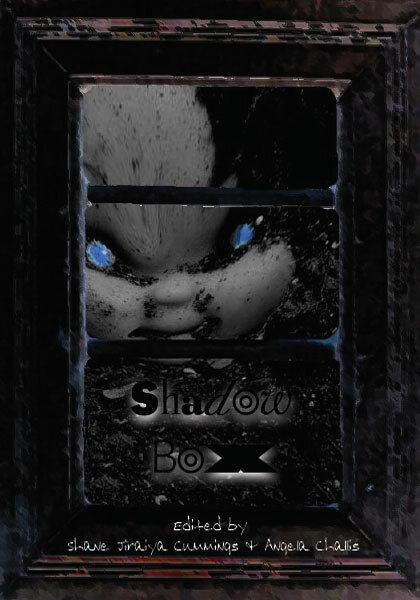 The ‘box’ is exquisitely packaged, with excellent graphics and sound effects (including a delightful ‘X-ray gallery’) to complement the works of fiction within, and the Box, and its hundred and twenty four pages made clearer for me what it is that I love (and loathe) regarding horror fiction. This is the seventh anthology from the Canberra Speculative Fiction Guild, and conforms to their traditional format: stories by a range of members based around a single theme. Previous anthologies have focussed on fantastical beasts, machines, places that can be considered ‘other’, and even the act of cooking. In this instance, the anthology concerns itself with the notion of otherness in the individual: the outsider, the pariah, the exile. I am not a huge fan of science fiction. Let’s get this out right at the start. The reason I don’t often like it is because I’ve found that science fiction can easily become bogged down in jargon and, well, science, at the expense of engaging characters and comprehensible plot, both of which are very important to me. 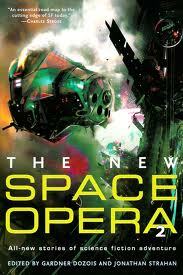 Lately however, I have found myself absorbed by a number of science fiction books and stories that have flat out appealed to me, and a great percentage of stories in The New Space Opera certainly met the high bar. 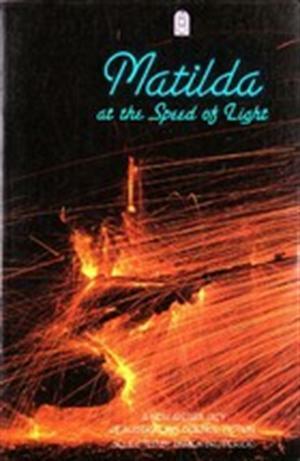 Matilda at the Speed of Light has a rather large reputation to live up to. When new writers appear, clutching their short stories and turning up to workshops with hope in their eyes, they are told, “These are the special writers: Greg Egan and Terry Dowling, Lucy Sussex and Damien Broderick.” These names and the name of this classic anthology are engraved on our minds because today, we are told, there are so many magazines and so many anthologies that the bar to being published is much lower. Because of all this baggage, I approached a re-reading of Matilda very cautiously. It doesn’t really matter that it is one of the great collections in the minds of a number of people more expert than me. What matters is that I have it in front of me now, and that I am reviewing it. Yes, it is far better than most speculative fiction anthologies Australia has produced, and Broderick’s selection of stories has amply demonstrated his ability to identify talent, but it is still worthwhile revisiting and rethinking and seeing what works and what doesn’t work. 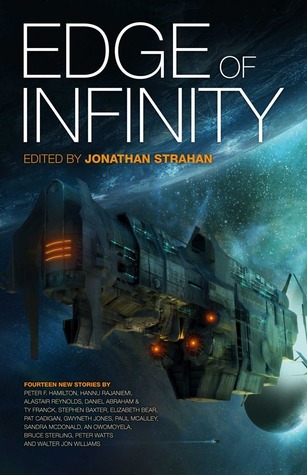 Having done this, I would strongly recommend that anyone who enjoys speculative fiction short stories get hold of a copy of this anthology (which is, alas, out of print). It is as close to the gold standard as Australia has gone.